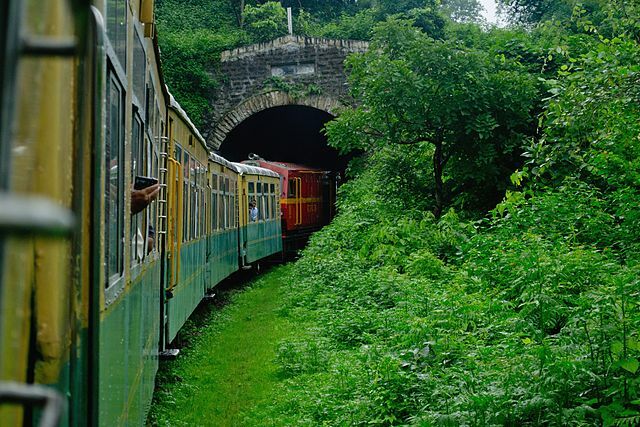 Kalka Shimla Toy Train is a part of the mountain railway project located in Himachal Pradesh, India. 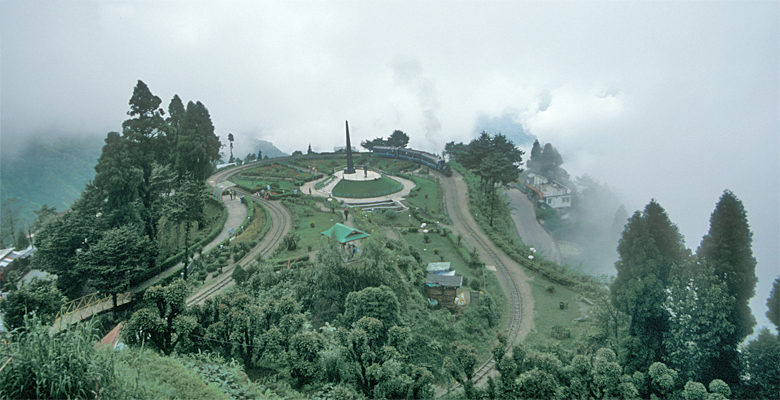 It was built by the British in 1903 to provide access to their summer capital of Shimla. 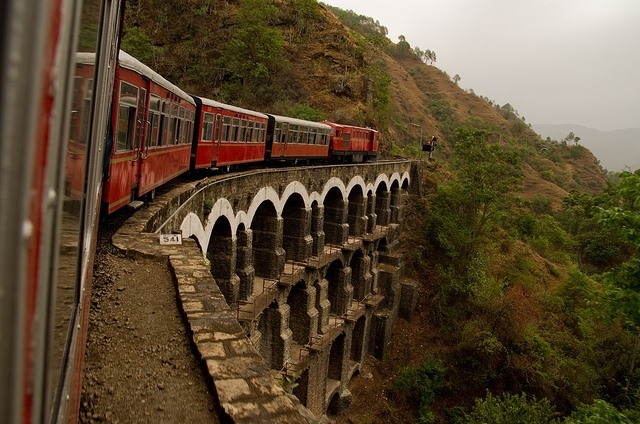 Being a 2 ft 5 inch narrow gauge railway, it covers the entire mountainous route from Kalka to Shimla. It is popular all around for the picturesque views of hills and the surrounding villages. 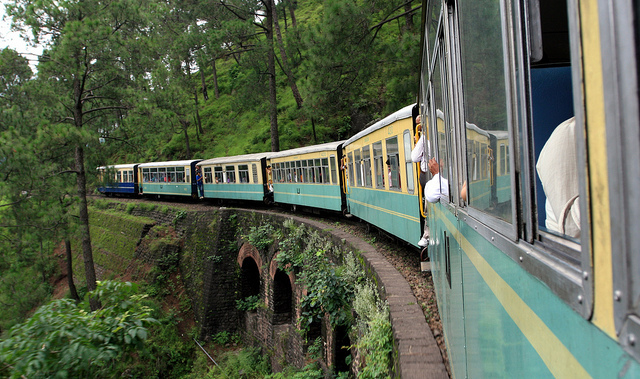 Spectacular scenery during the whole journey keeps the traveler to spell bound on this line. 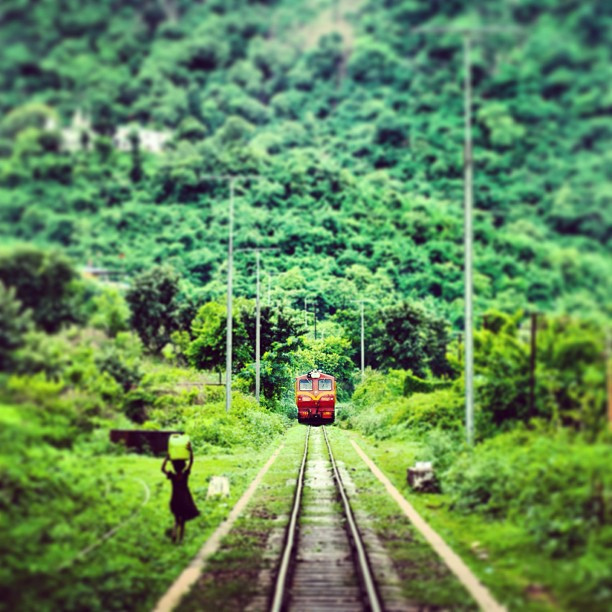 It rejuvenates passengers when the cozy air touches their cheeks and then further makes its way upwards along the narrow track through majestic mountains and pine forests. Due to its glory and charm, it is also listed in the UNESCO World Heritage Sites. 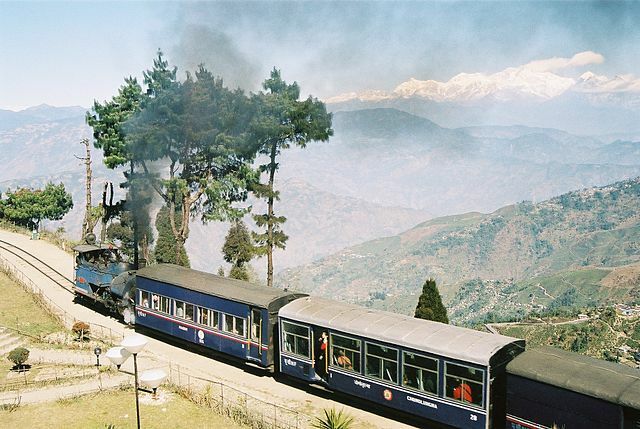 The route of this train offers panoramic views of all the hill stations. It stops at several points namely Dharampur, Solan, Kandaghatm Taradevi, Barog, Salogra, Totu, Summerhill and Shimla. Originally, there were 107 tunnels that built on this track. In 1930, four of them were discarded, so, remained 103. In 2006, again tunnel no. 46 were dismantled and the number became 102. So, presently there are 102 tunnels but the last tunnel no. 103 at Shimla is still famous as tunnel no. 103. This tunnel is a famous landmark of the town. The longest tunnel is located at Barog. This tunnel is associated with a number of tales and legends. Total 864 bridges are located on this line. One of the bridge is 18.29 meter plate girder span. Other bridges have multi-arched galleries like the ancient Roman aqueducts. Bridge No. 493 is known as the “Arch Gallery” and is situated between Kandaghat and Kanoh stations. It is an arch bridge that made in three stages. Another one is bridge no. 226, located between Sonwara and Dharampur. It is an arch gallery bridge and have tier galleries of multiple spans. Many sharpest curves are there. The most sharpest one is 48 degrees. 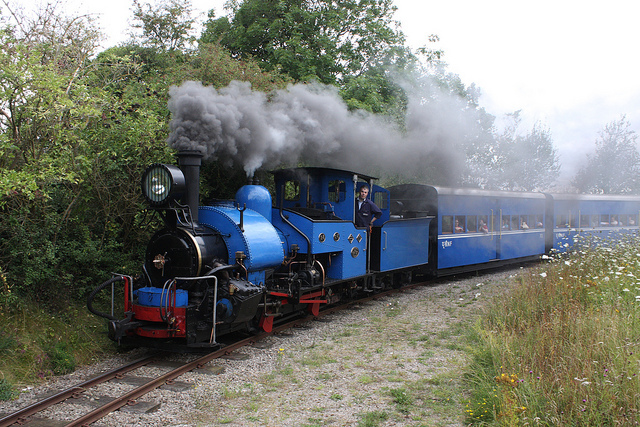 Two class “B”0-4-OST locomotives were the first locomotives that arrived there from the Darjeeling Himalayan Railway. Diesel locomotives are currently used on this railway. Main tourist train services that available on this route are the Shivalik Deluxe Express, Himalayan Queen and Rail Motor Car. Each train has its own quality. A number of extra train services are available during the holiday season in India. It is usually from May to July, September, October, December and January. Rail Motor Car is also a temporary service that operates during the rush time of the year, only to manage the crowd. This train is also used for making documentaries and shooting the songs of Indian Bollywood movies. In the UK, the BBC has made a series of documentaries on the Indian Hill Railways. 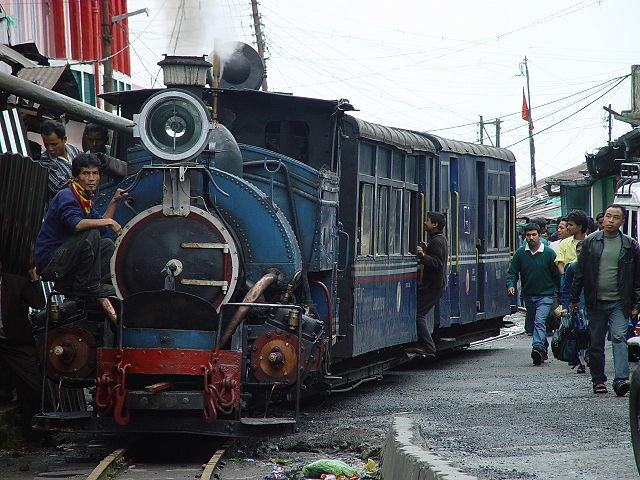 First documentary deals with the Darjeeling Himalayan Railway while the third one deals with Kalka-Shimla Railway. It’s shown on BBC FOUR TV on February 2010, on BBC TWO on April 2010 and again on BBC FOUR in January 2012 & September 2012. Songs related to the movie “Tridevi” also shot in this train and many others are in the list. Thus, the route is the soul and the heart of the Himachal Pradesh, India. A large number of visitors go there throughout the year to enjoy their vacation and surprised by the beauty of the place. They keep the memories of the journey by taking the photographs of this breathtaking destination.